Keyrings - Medium Size. 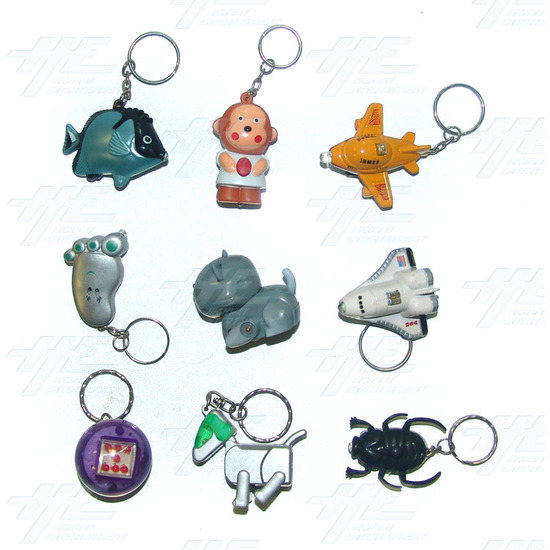 An assortment of medium-sized keyrings. These keyrings have an LED light inside, however most are no longer working due to a dead battery inside. Although the light may not function, they still function as keyrings/and or mobile phone accessories. Includes a huge range of varieties including Pigs, Cameras, Mobile Phones, Torches, Bears, Dolphins, Aeroplanes, Beetles, Violins, Licensed Characters and more. Includes a total of 130 pcs. 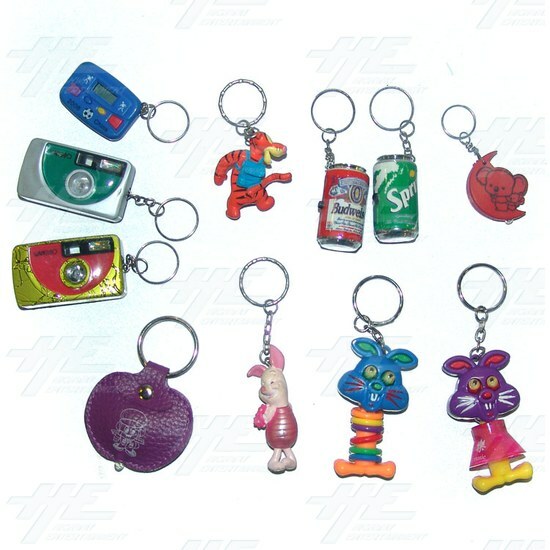 Keyrings are approximately 1.5" - 2.5" in size. Keyrings - Medium Size. An assortment of medium-sized keyrings. These keyrings have an LED light inside, however most are no longer working due to a dead battery inside. Although the light may not function, they still function as keyrings/and or mobile phone accessories. Includes a huge range of varieties including Pigs, Cameras, Mobile Phones, Torches, Bears, Dolphins, Aeroplanes, Beetles, Violins, Licensed Characters and more. Includes a total of 130 pcs. Keyrings are approximately 1.5" - 2.5" in size.